The commonly prescribed and over-the-counter (OTC) allergy pharmaceuticals only make one feel dull and groggy or worse with the effort at simply masking symptoms. The underlying dynamic of the immune system’s rejecting a normally benign pollen with chronic inflammation remains a mystery to mainstream medicine. Austin, TX, is considered by some as “allergy central”. Since hay fever, known as “Cedar fever” here in Austin, is so prevalent, there’s no problem finding several natural herbal and homeopathy-based medicinal solutions for your first bout of Cedar fever. One woman spoke of how she had reactions so bad she felt like “ripping her eyes out,” until she tried acupuncture. Now after a few sessions, no more intense allergic attacks. Nevertheless, the Berlin study “Acupuncture in patients with allergic rhinitis: a pragmatic randomized trial,” was conducted among 981 allergic rhinitis sufferers. Of the 981, 487 were randomly assigned to acupuncture and 494 to control. TCM doesn’t consider allergic reactions to normally benign elements as mysterious. 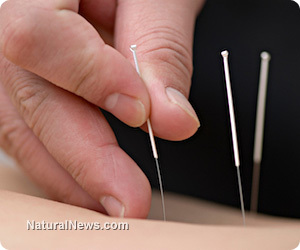 They pursue the underlying causes with diet, herbs, and acupuncture. Since TCM’s foundational premises involve chi or Qi energies, they look at dealing with esoteric properties such as wind and dampness. Complete allergy remissions can be achieved with the latest acupuncture development known as Nambudripad’s Allergy Elimination Technique (NAET). This technique reprograms the body to accept those allergens without the immune system’s over reacting to produce hay fever or other allergic reactions. Often the effect is long term, virtually vanishing one’s allergy.